The Afghan National Defense and Security Forces (ANDSF) have withdrawn its security forces from the district of Musa Qala in Helmand province (on Saturday) after a protracted struggle with the Taliban over the past year. The district is now under Taliban control. The ANDSF calls it a "redeployment of forces". Another government spokesman said that the troops were not accomplishing anything in the district and that the move will put the troops into a different and more important district that is heavily contested by the Taliban. The few troops that were in the district were confined to a couple of bases. The Taliban had already taken control of the district bazaar and government buildings. 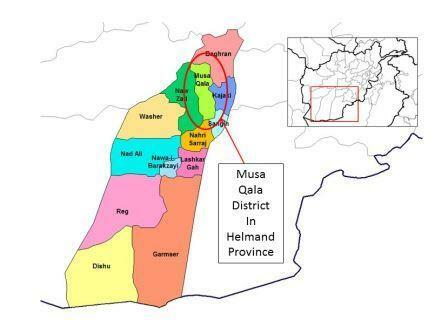 The fall of Musa Qala district may have a cascading effect on other nearby districts in Helmand province. It could be that the Afghan government is on a path to cede northern Helmand to the insurgents. Some observers think that the Taliban now either control or are contesting 10 of the 14 Helmand province districts. Overall, a grim reflection on how ill-prepared the ANDSF are in combating the Taliban. Read more in "Afghan troops pull out of strategic Helmand district", Reuters, February 20, 2016.